Which Website Do You Need? Small or Large? 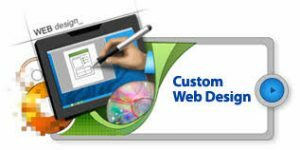 Why Do I Need to Design a Website? The most successful websites today are as a result of the combination of creativity, clear vision and top notch technology. Your site is meant to be your most valuable marketing asset, and if it is not drawing enough attention, or you are yet to get one, you need a professional to handle it. About 93% of businesses start their success stories with search engines, where customers usually surf through to find your goods and services. This is how companies are able to make sales. Every business needs a professional website to act as its virtual office, which is available to make sales around the clock. If you do not yet possess a mobile-friendly website or your site doesn’t meet up with the latest technologies, you need to hire a professional to help you upgrade, or design, a website that would suit all your business needs. This website has custom solutions for both small and large businesses. We understand that sites vary depending on the needs of each unique business. Websites here are created using WordPress, to give you a unique website for your business. People work with their smartphones, and most people visit websites using their mobile devices. We design websites for clients that are mobile friendly, and are up to date with SEO practices for mobile. Once a website is built, it becomes yours, and you have full control of your new site. You can do anything you wish with your website.